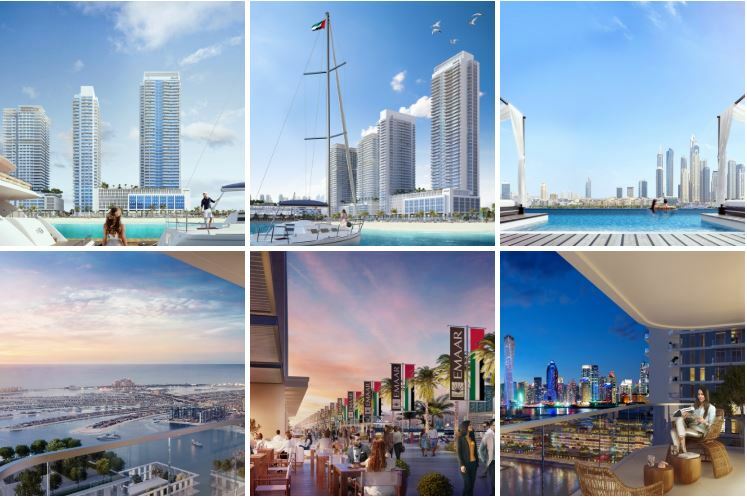 Discover Marina Vista at Emaar Beachfront, the third out of 27 exclusive towers released by Emaar on Dubai Harbour, an island located between Jumeirah Beach Residence (JBR) and Dubai Marina. Located on the southern tip of the development, this community promises lovely views. True to its name, all of the units will face the gorgeous Dubai Marina skyline or sea. The residents will enjoy a 750m private beachfront, much like the other towers, along with views of glorious yachts. There will be easy access from Sheikh Zayed Road and the Dubai Marina. The apartments are cool and contemporary with blue and white accents, complimenting the surrounding sea views. There are one, two, three and four beachfront apartments available, created and designed in order to maximize the views of the Dubai Marina skyline and the sea. Cosmopolitan living is expected right at your doorstep, with stunning views available as well as plenty of retail and restaurants within walking distance on an avenue. These apartments come with resort-style amenities, including a pool and gym.The lighthouse is not located far away either. Perfect for both end-users and investors. 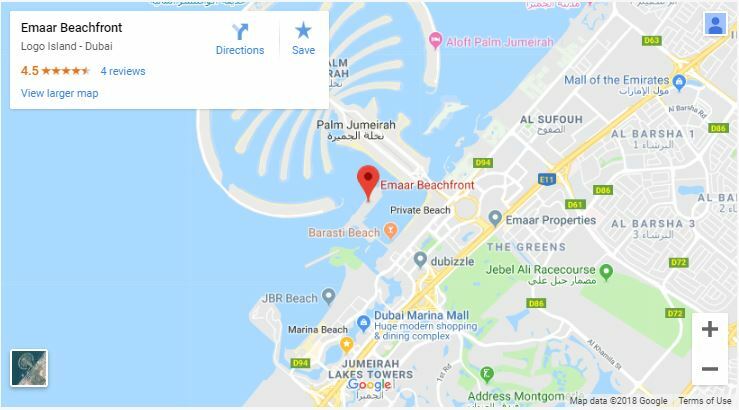 Emaar Beachfront forms a part of Dubai Harbour, a 20 million square feet project that will encompass two cruise terminals, several beachfront developments, restaurants, retail and a 135m tall iconic lighthouse. Residents of Marina Vista will enjoy a resort-style way of life. 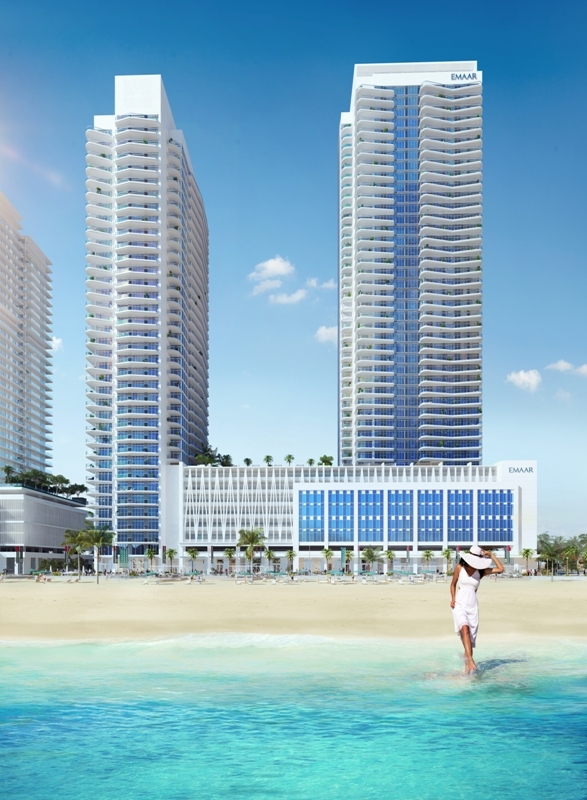 There are the usual amenities such as a pool deck and fully equipped fitness center but in addition to that, the podium level of the towers will contain shopping and dining outlets that will give it the feel of a boardwalk. The main draw, of course, is the 1.5 kilometers of private beach that will surround the island and will be exclusive to residents. You can bask in the sun, enjoy an afternoon stroll on the warm sands or just enjoy the astounding view of the glistening waters with Dubai’s iconic skyline forming the backdrop. 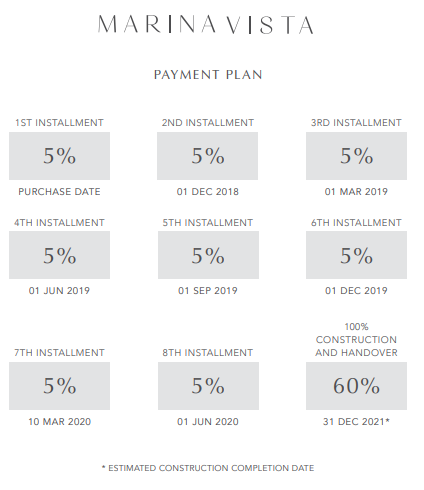 Marina Vista is being built near the entryway to Emaar Beachfront, putting it in a very prestigious position as it will have a direct connection to the Dubai mainland. A bridge will lead from the island to the Dubai Marina district, where you can follow up your beach time with a yacht cruise or spend a day exploring the many dining, shopping and leisure options that this very popular district has to offer. Another bridge on the other side of the island leads you to the magnificent Palm Jumeirah.